I’m not sure what Cory Arcangel’s video Drei Klavierstücke Op. 11 says about our relationship with animals – except that we think it’s funny when a cat plays the piano. So many people have posted so many YouTube videos of cats pawing the ivories that Arcangel has been able to edit a constellation of cute clips, so the cacophony of cats coheres into a brilliant staccato rendition of Arnold Schoenberg’s 1909 expressionist masterpiece Drei Klavierstücke. The pussycats stumble, crawl and gingerly tap keys in a montage that must have taken stupendous effort to create. What is the true art – Schoenberg’s composition, Arcangel’s re-creation of it, the YouTube videos – or the piano-playing of the cats? Turner Contemporary’s delightful exploration of the borderline between human culture and the rest of the animal world is full of such mind-expanding moments. Cuteness and horror, love and cruelty nuzzle side by side. A series of noble photographic portraits of dogs by Charlotte Dumas is arresting. When you find out that all are veteran rescue dogs who comforted survivors and workers at the World Trade Center site in September 2001, they become more heroic still. These dogs have such kind faces. Do they know what they did, the part they played in history? They are studies in goodness. Human beings have been seeing character in other species for tens of thousands of years. The oldest paintings that exist, in caves decorated by ice age hunters, are sensitive portrayals of species including mammoths, bison and horses. This exhibition doesn’t have any stone age art, but it does have an ancient Egyptian figurine of the cat-headed goddess Bastet from the collection of Sigmund Freud, who saw the dreamlike quality of the Egyptian pantheon. The animal-centric mythology of ancient Egypt resurfaces in Michal Rovner’s 2017 video portraits of jackals. Filmed with a night-vision camera near the Israel-Palestine border, these wild dogs associated in ancient times with death become minatory ghosts, their bright eyes watching as you edge past them. The most radical works in this haunting exhibition go beyond contemplating animals to try and break down the border between species. A film of Joseph Beuys’s 1974 performance I Like America and America Likes Me documents the three days he spent locked in a cage with a wild coyote. Beuys cajoles, mystifies and befriends the supposedly dangerous American critter. When he plays the triangle, it runs terrified into a corner. Was this green politics or animal abuse? There are no such worries with Andy and Peter Holden’s A Natural History of Nest-Building (2017), a homage in video and sculpture to the architectural genius of birds. Like Arcangel’s cat musicians, but more scientifically, this essay on bird builders raises a serious question about the supposed uniqueness of human culture. Are we really the only species with a feeling for beauty? Is art as uniquely human as we suppose it to be? Sculpture for Octopuses, a 2013 work by Shimabuku, is a collection of coloured glass balls designed to test the favourite colours of cephalopods. It is half artwork, half experiment. Octopuses collect interesting objects, just as we do on the beach. What’s the difference? This show is full of wonder. It includes unexpected and moving sketches of dogs and donkeys by JMW Turner; a surprisingly subversive double portrait of the contrasting lives of a poor dog and a posh dog by Edwin Landseerthat surely comments on the inequalities of Britain when it was painted in 1829; and a mystical figure of a hare on its hind legs by Barry Flanagan. In 2013, Tracey Emin befriended a fox in her wild garden in Provence. Her video Love Never Wanted Me documents their encounter in filmed clips and still photos of the fox eating in her kitchen, wandering among rocks and trees, finally vanishing back into nature. As she follows it, camera in hand, her voice on the soundtrack talks about love, loneliness, loss. It is a beautiful encounter – she wants to be friends with the fox, but she’s not trying to tame it. In the end, she has to watch it leave. She respects its wildness. It respects hers. Pokemon Go might get some new features soon. The developers acknowledged that playing games on AR is rough. You spend all your time looking at your phone. The new feature could include audio cues. That way you know when Pokemon are around, where Poke Stops are, etc. There is talk that it might be a hallmark feature in the follow-up game to Pokemon Go. The classic infinite runner Into the Dead is getting a sequel. Into the Dead 2 is launching to the Play Store on October 13th. The new game will contain 60 levels across seven chapters. Most of the mechanical elements should be similar to the first game. It’s available for pre-registering on Google Play right now. Chainfire released a new website this week for root users. The site is a spot for devs, root users, etc to find stock boot and recovery images. It’s mostly stuff for Google Pixel and Samsung phones. It should expand over time to include more devices. It should also make finding such files easier for beginners and advanced users alike. Google Assistant is getting some new features. At least we think so. 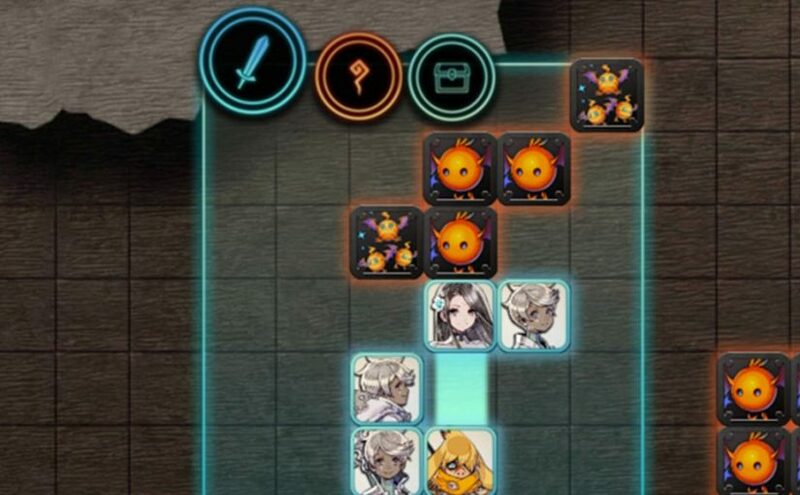 During an APK tear down, it revealed some new information. Included is an Active Edge feature that may be similar to HTC’s phone squeezing feature. There are also hints of features like customizable short commands for Assistant. These may or may not be real, but it would be cool if they were. Minecraft’s long awaited Better Together update is out. The game allows for cross-platform play between console, PC, and mobile. Namely, it works on Xbox, Windows 10, VR, and mobile devices. In addition, they added a bunch of other items to the game. They also announced that the game is coming to the Nintendo Switch. You can find more Android apps and games news, releases, and updates in our weekly newsletter by clicking here! You can also subscribe to the newsletter with the form below! As usual, check out our Android Authority app for even faster updates. 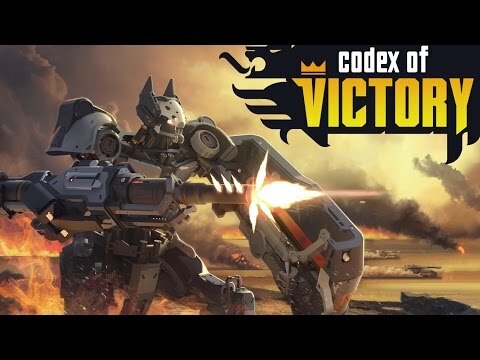 Codex of Victory is a new strategy game. The game is a hybrid of a classic strategy game and a kingdom builder. You build bases, upgrade units, and conduct combat against the enemy. It features a story-driven, single player campaign mode. The developers also boast 20 hours of single player campaign, over 25 units to build and upgrade, and more. The levels are also randomly generated. That means no two playthroughs are alike. It runs $4.49, but has no in-app purchases or advertising. Reverse Dictionary is a simple dictionary app. It helps you figure out a word that you can’t think of. You simply type letters of the word, a phrase describing it, or synonyms of the word. The app then attempts to tell you what word you were looking for. 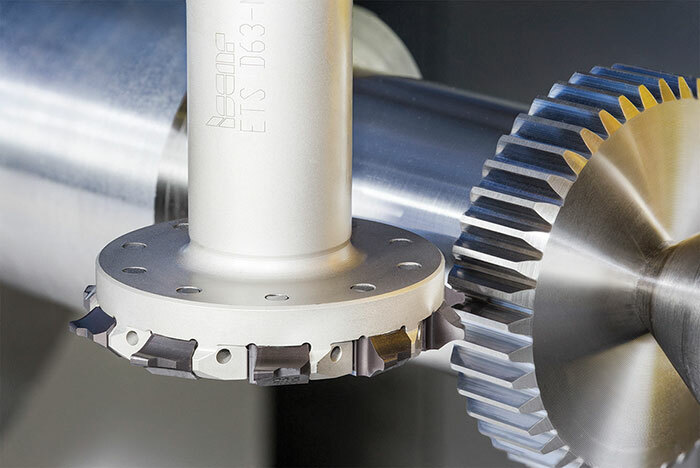 It features a light, simple design. The app also does work pretty well. Otherwise, it’s a simple little app that shouldn’t take up too much space on your phone. It’s completely free with no ads and no in-app purchases. Stormbound: Kingdom Wars is an indie strategy-puzzle game. You play battles on a checkerboard. Your goal is to make to the other side and assault your enemy’s stronghold. It features card-collecting mechanics as well. You collect various units to use in battle. It features single player options, multiplayer options, a bunch of cards to collect, and more. The art style is a little typical of indie games. We’re not going to complain because that’s not necessarily a bad thing. It is a freemium game, though. Mint Browser is a newer browser app. It boasts a heavy emphasis on privacy and security. That includes an Incognito+ mode. It allows you to keep a separate (and encrypted) set of notes, bookmarks, and browser history. The app also includes fingerprint scanner support. Tor support, local weather, and an Opera-style Speed Dial feature. In terms of browsing, it does good enough to be good. The base app is free to download. The pro version runs for $1.49 as an in-app purchase. 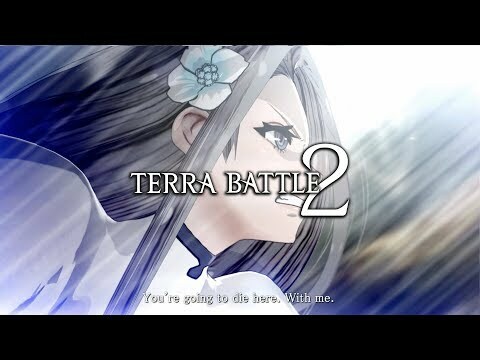 Terra Battle 2 is the latest game from Final Fantasy creator Hironobu Sakaguchi. It features a deep and prominent story line. There are also various improvements from the first game. It features a unique puzzle-style battle system, a world map to explore, and you can even move the bad guys around. The game is suffering from some control issues and the occasional bug. However, we assume fixes are coming sooner rather than later. If we missed any big Android apps or games news, tell us about them in the comments! You can also hit me up on Twitter if you want to suggest an app for this segment. Thank you for reading, we’ll see you next week!